No Hippity Hop for me ... why I don't do Easter sessions with live bunnies! 1. Rabbits are very delicate and little, excited fingers might not be as gentle as they should. Their little ears and legs can be broken and they can be seriously hurt during a photo session while being handled by little ones who might not understand how to be careful. Probably not too fun for Mr. Rabbit. 2. Just like humans, animals can panic when they are frightened or in an unfamiliar situation. Yes, rabbits can bite. Chicks can scratch. Children have ended up in the ER because of this type of injury and that’s probably not the childhood memory you’re going for. 4. Lawsuits are common these days. No photographer wants to be on the receiving end of a lawsuit because a child got hurt during a photo session. I certainly don’t. 5. One word – chaos. The chicks are running, the rabbits are hopping… your kids are chasing the animals and now I’m chasing your kids. Sound fun? No? Right. It’s not. Let’s just go ahead and avoid that stress and you can leave the Xanax at home. Eat it, bunny!! I'll make you like it! 6. All that other legal stuff. The use of live mammals in photography requires a license from the USDA. But people take photos with the dogs, you say? Yes. They do. You have an established relationship with your pet and they can be incorporated into photographs without a license. The client must own the animal – it cannot be rented. 7. Poop! Do you want to deal with that? I know I don’t. I love my studio and want to keep it as clean and hygienic as humanly possible. This doesn’t include teeny-tiny rabbit poops all over the place as I chase Thumper around. 8. The horror stories. I mean, truly... HORROR!! 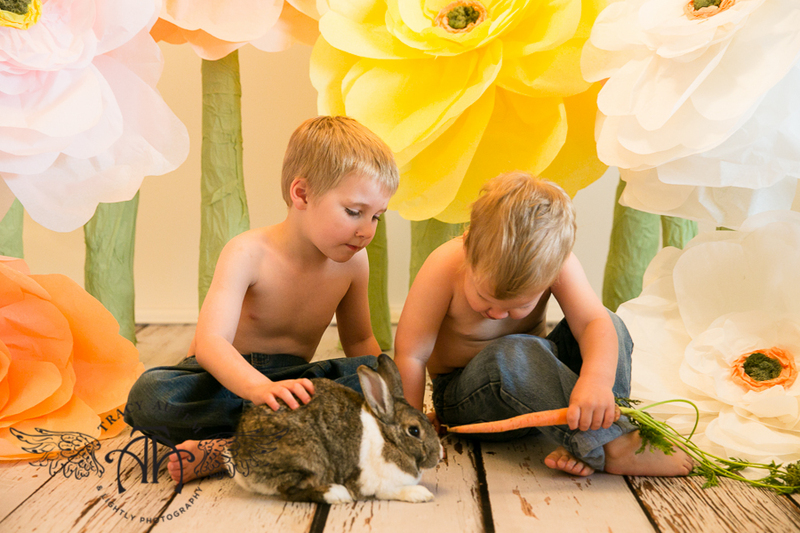 Yes, rabbits have DIED during photo sessions. They have gotten so stressed out they go into cardiac arrest right on the spot. Talk about an expensive photo shoot when you now must pay for therapy for your kid for the next 20 years! Chicks have had wings pulled off and other horrible things that I don’t even want to go into. JUST. NOT. WORTH. IT. I’ll be really honest – many times you’ll see a beginner or amateur photographer at a park using live animals around Easter to “boost” their portfolio. Very rarely will you EVER see a truly professional, educated, informed photographer doing this. Even with full coverage insurance, most will not take the chance. And call me a softie, but in no way to do I want to risk hurting an animal. It’s just not worth it for a couple of cute photos. But Sarah… do you photograph pets? YES! I love to do that. It’s so much fun! If you have a pet that is part of your family, I am more than happy to include them in your photo session. My own Great Danes are a part of my family photos every single year! And want to know a secret? 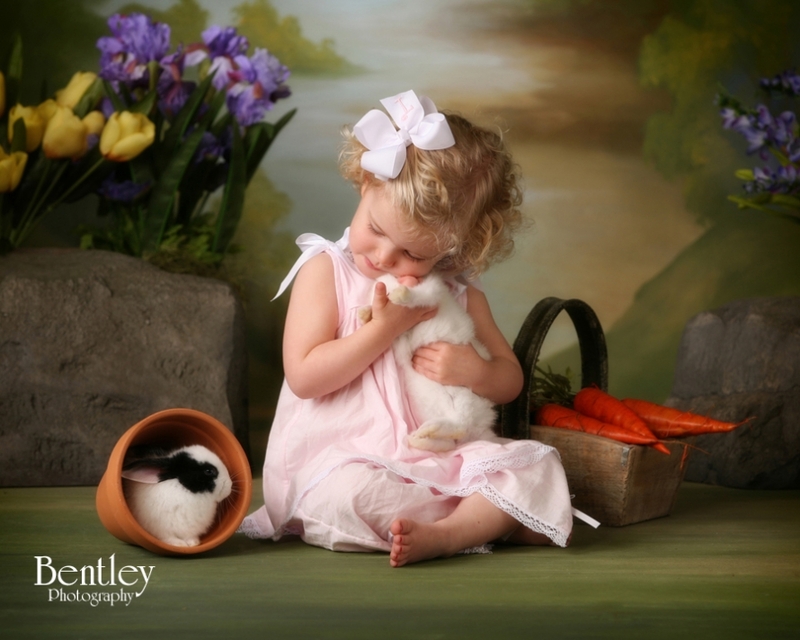 Many of the photos you see of bunnies and chicks in an Easter setting are simply VERY realistic (READ: expensive!!) photo props. 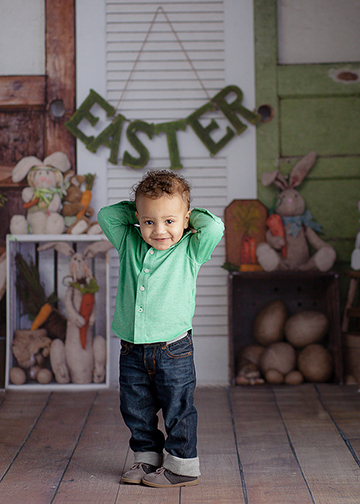 There are so many other options at Easter and in the spring for wonderful photos. So let’s avoid the bites, scratches, diseases, poop and trauma and go with Plan B. I promise you’ll be just as happy! And so will Thumper!! Nice studio setting. No bunnies were hurt! Note: no photos in this post were taken by Sarah Toth Photography. All were pulled from the internet and used as examples only.